You'll always have some churn of existing customers, but your challenge is to minimize it by controlling the controllables. And you'll always need new customers to expand your base and continue to build growth opportunities. Just make sure you strike the right balance. You know just how difficult it is to attract and engage a new customer to shop your garden center. The expense of advertising in multiple venues  Internet, cable or local TV, radio, newspapers, direct mail inserts, billboards, etc.  in order to reach potential customers wherever they may prefer and where there’s a possibility they may see or hear your message. And marketing gurus who study consumer behavior and advertising effectiveness tell us that, to cut through the message clutter of all the advertising the consumer is exposed to on a daily basis, it takes between six to 12 times receiving a given message before a consumer even hears what you’re saying. And then it takes an additional eight to 10 times before that message becomes actionable by the consumer. So in a seasonal business like ours, it becomes even more challenging! In many markets, the season is too short for the new consumer we’re trying to reach to hear your message 14 times before they respond to your message. By the time they “get it,” the season is nearly over. And in markets that have experienced extended rain and cool weather, like much of the Midwest this spring, the consumer tunes out your message if the weekend forecast is for lousy weather, so you almost have to start all-over trying to reach him or her when the weather forecast is for blue skies and green lights. I’m becoming more of a believer in the timing flexibility that social media provides to us. Unlike print and traditional broadcast media where the lead times are longer and you’re relatively locked in to pre-planned timing, social media allows you to deliver your messages when you see fit, and with almost no lead times. But it’s not just about the difficulty and challenges you face in attracting new customers. An even bigger problem is mitigating the customer churn of your existing customer base. The reality is that retail is a numbers game. You start off with a base of customers and some leave the fold for a number of reasons. 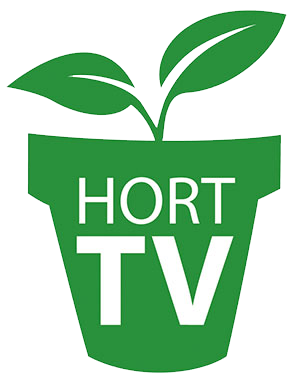 Some may go down the street to “Big Blue” or “Big Orange”; some may leave gardening and floriculture altogether; others may just decrease their use of the products you sell. Unless you can replace these defectors with new customers, it becomes a zero sum game for you, and there’s no mathematical way you can increase or sustain your business model. From a profit standpoint, your existing customers are your lifeblood, and your No. 1 goal is to do whatever is needed to keep them happy. Trolling for new customers should provide future growth opportunities to develop and build on, new potential. You’re familiar with the fact that it is 6-10 percent more expensive to attract a new customer than it is to maintain a current customer. And these existing customers provide some significant benefits to you: they are less sensitive to price than new customers who are making their decision as to where to buy based primarily on price value, and your satisfied existing customers are more likely to become brand advocates for your business. 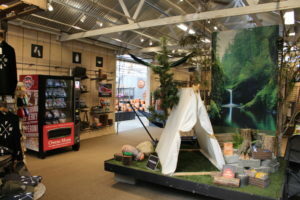 Yet too many of the owners and managers of locally owned garden centers (LOGC) I’ve spoken with this spring have told me that they are putting a major emphasis on attracting new customers through their marketing and advertising efforts. When pressed to find out why they’ve chosen this path, they almost universally stated that their existing customer base was shrinking and they needed to replace their numbers with new customers. Okay, I understand the math and understand the sense of urgency they have in taking this approach. But this begs the question on why they are losing their existing customers because the path they’re taking  focusing on attracting new customers  is going to put a serious hurt on their bottom lines based on the higher customer acquisition costs for new customers.  Roughly half of surveyed consumers who stopped shopping at a given company did so because of poor service.  More than half of those defecting customers said that they would have stayed loyal if they had been rewarded (or at least felt rewarded) for their loyalty.  Nearly 70 percent would have stayed if a problem they had had been resolved in one store contact transaction. and the overall experience you provide to your customers!  Sixty-six percent of U.S. consumers would spend more if they expected better service, with that group willing to pay an average price premium of 13 percent to that end.  Seventy-five percent of customers said that they had already spent more with a company in response to superior service provided. When people feel they have less time and money to spare, superior service has an increasing effect on deciding where they spend both. your base and continue to build growth opportunities. Just make sure you strike the right balance. Stan Pohmer is president of Pohmer Consulting Group in Minnetonka, Minn. He can be reached at [email protected] or 612.605.8799. Time to Re-Think Your Success Formula? Beyond Tomatoes: What’s Trending in Home Grown?